Handmade by GAIMO Espadrilles in soft suede. 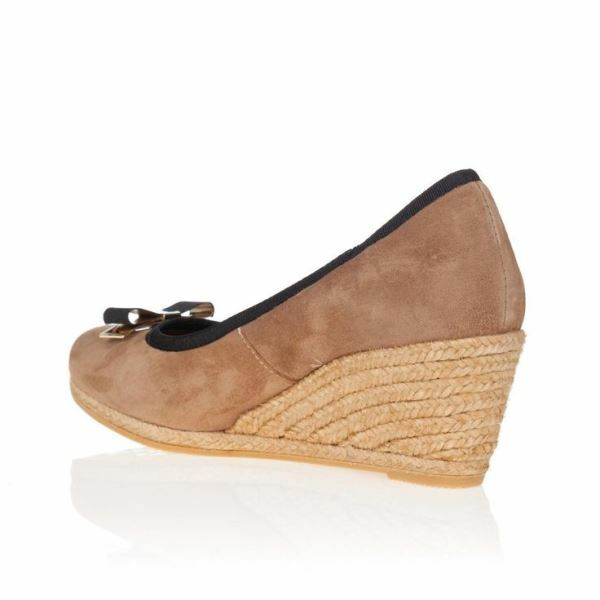 ​Camel suede with brown and metallic rib. 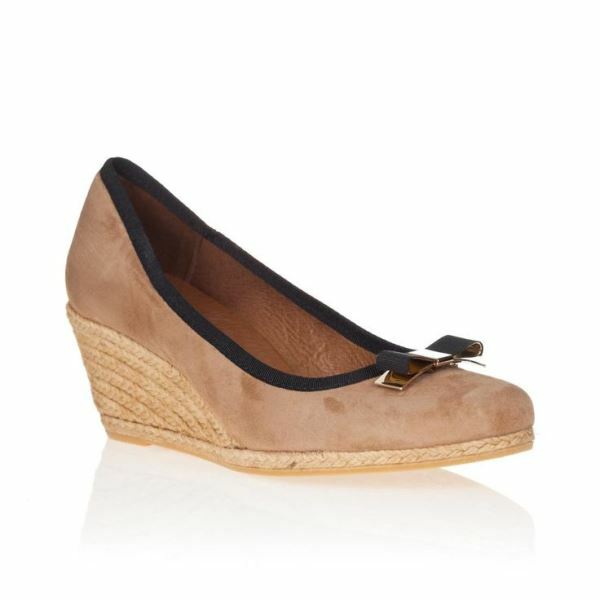 A beautifully styled wedge from Gaimo Espadrilles. 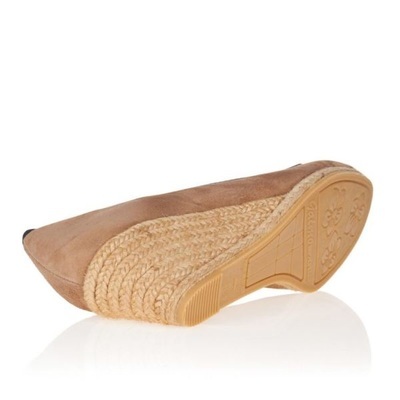 The leather Is extraordinarily soft and the foot bed is like walking on a pillow.